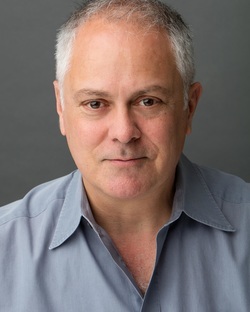 Matthew Arkin has over 40 years experience on stage, film, and television. He is Director of the Acting Intensive Program at South Coast Repertory, is an associate faculty member and director at the American Academy of Dramatic Arts, and has taught at the world renowned HB Studio in New York, where he studied with Uta Hagen and Austin Pendleton. He most recently received acclaim for his portrayal of the 600 pound Charlie in SCR’s West Coast Premiere of Samuel D. Hunter's The Whale. His theater credits include numerous Broadway and off-Broadway appearances, most notably The Sunshine Boys, with Jack Klugman and Tony Randall, and originating the role of Gabe in New York production of the Pulitzer Prize winning Dinner With Friends, for which he received a Drama Desk Nomination . Matthew's teaching draws heavily on his study with Uta Hagen, and the techniques and exercises described in her book, A Challenge for the Actor -- as well as his forty-plus years experience in film, television and stage. The Hagen Exercises develop a flexible approach to specific issues and problems that change with each part played, each story told. Technique is then applied to scene study. With an emphasis on script analysis, students explore and isolate their own behavior, and apply the lessons learned to find the core of each character they play.